Flying Pig Marathon | Cincinnati Flying Pig Marathon, one of the most enjoyable marathons in the world! Click here for a list of road closures taking place Flying Pig Marathon weekend. Click here for the 2019 Weekend Parking Guide. 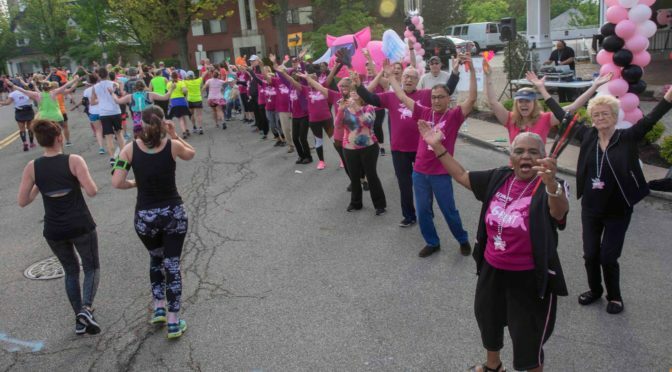 Registration is open for the 21st annual Flying Pig Marathon – May 3-5, 2019. Sunday participants – check out our official race photos from MarathonFoto! Congratulations! Click here to view your results for all 2018 events. Visit the Flying Pig e-store for the latest pig fashions! We’re known for our course support and here’s a preview of the fun stations we’ll have along the course! We’ll also have plenty of bands, cheer groups and other entertainers to cheer you on to cross the finish swine. Do you need to transfer, switch, or defer registration? Make sure to do so before it's too late.